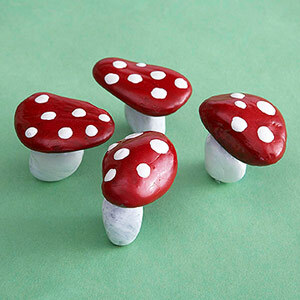 Paint and rocks make up these adorable mushrooms! What a fun way to dress up houseplants or put into your garden. I have linked your painted toadstool post at my craft blog, as I wanted to share it with others. I hope you don’t mind!